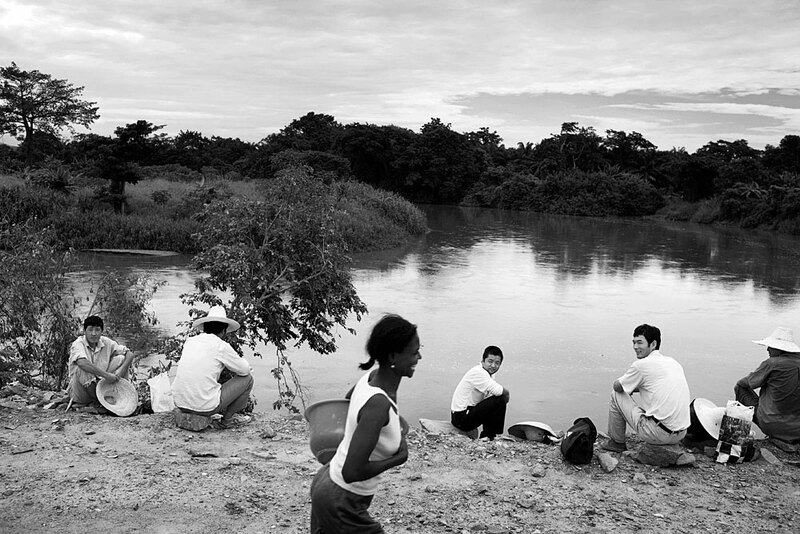 Chinese railway workers flirt with a local Angolan woman during a lunch break, Dondo, Angola, 2007. Hundreds of workers live in rural camps along the tracks and all the equipment are imported from China. The Chinese are upgrading two railway lines in Angola.